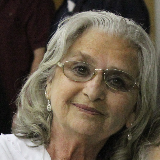 Frances Carol Munsterman, 68, of Weston, MO passed away Sunday, July 29, 2018. She was born on October 31, 1949 to John Willie and Dolly LaVaughn (Siard) Berryman in Kansas City, MO. Franny grew up in Weston, MO and in 1968, she graduated from West Platte High School. On April 19, 1968 she was united in marriage to Kenny Munsterman. After their marriage they lived in Weston where they farmed and made their home. Franny was a member of Pleasant Ridge Baptist Church in Weston. She loved to play poker, fish, grow flowers, dancing and most of all being a wife, mother and granny. She was preceded in death by her parents, two brothers, two sisters and mama and papa Munsterman. Franny is survived by her husband Kenny Munsterman; children Kena Munsterman, Michael Munsterman and wife Dawn; sister Jeannie Munsterman and husband Bob; brother Catfish Bramble; grandchildren Benjamin Davis, Mondez Quiovers, MacKenzie Quiovers, Brinlee Munsterman; seven great-grandchildren; sister Peggy Henderson; her dog Huck; several nieces and nephews, other relatives and many friends. Celebration of Life: 6:00 p.m. Thursday, August 2nd with visitation from 5:00-6:00 p.m. at Pleasant Ridge Baptist Church, corner of P Hwy and Woodruff Rd, Weston, MO 64098.